NTC [Nepal Telecom] is the popular governmental telecommunication service provider in Nepal. NTC was formally established as a fully owned Government Corporation called Nepal Telecommunications Corporation in B.S. 2032 for the purpose of providing telecommunications services. 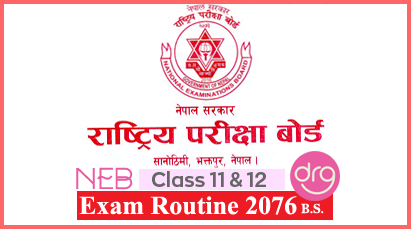 After serving the nation for 29 years with great pride and a sense of accomplishment, Nepal Telecommunication Corporation was transformed into Nepal Doorsanchar Company Limited (NDCL) from Baisakh 1, 2061. Nepal Doorsanchar company Limited is a company registered under the Company Act 2053. However, the company is known to the general public by the brand name "Nepal Telecom" as its registered trademark. Nepal Telecom has always put its endeavors in providing its valued customers a quality service since its inception. Most of us would definitely love to have internet data connection in our beautiful mobile phone. NTC is providing internet surfing in cheaper rate all over Nepal in compare to others. While using NTC Data packs, you may want to know the available data regularly to ensure excess charge per MB after subscribed data is consumed. As all of you know NTC send messages regularly to inform users about data available after data volume starts getting low but sometime you may not get these notification messages. So for this, you will learn here how to check remaining internet GPRS mobile data in NTC. Dial *1415# from your dial pad. You will see list of data packs available. Now type 4 and send as reply to select regular data packs. Now you will see list of normal data plans for NTC and below it in number 7 you will see remaining data so type 7 and send it. You will see a window saying you will receive text message from 1415 about your remaining data. Now you will receive a text message from 1415 with your remaining data and expiry date. Go to your messaging app. Type "VL" without quotes and send it to 1415. You will receive sms from 1415 about your remaining internet data and validity. Type "CB" without quotes and send it to 1400. You will receive sms about your remaining internet data and validity. 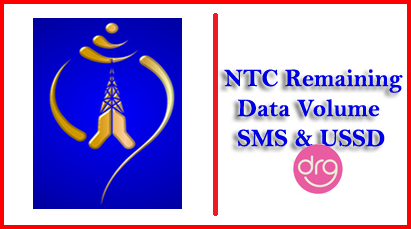 These are the simple methods to check NTC remaining Data Volume via Message and USSD in Mobile phones. You can use these ways to check remaining NTC GPRS volume in your mobile phone regularly. 0 Response to "How To Check NTC Remaining Data Volume Via USSD or Message In Mobile"